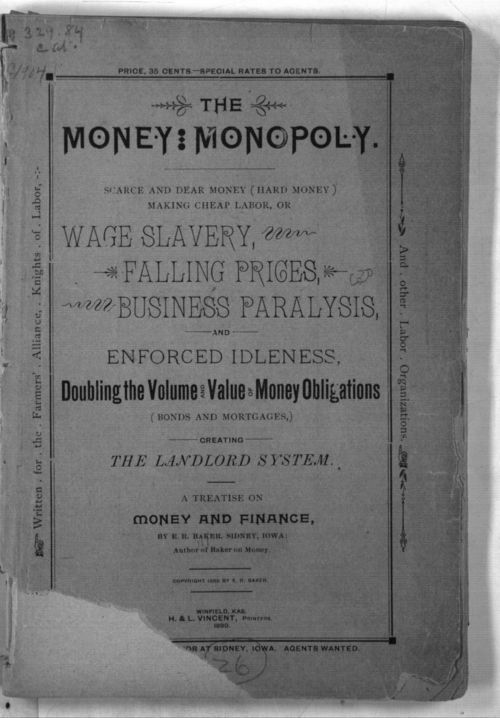 Erasmus Baker of Sidney, Iowa, wrote this pamphlet about problems of money in the United States and its impact on farmers and laborers. Baker supported Populist ideas about increasing the money supply and doing away with interest payments. The money monopoly. Scarce and dear money (hard money) making cheap labor, or wage slavery, falling prices business paralysis, and enforced idleness.